Clemson Girl: "Watch" you talking about? 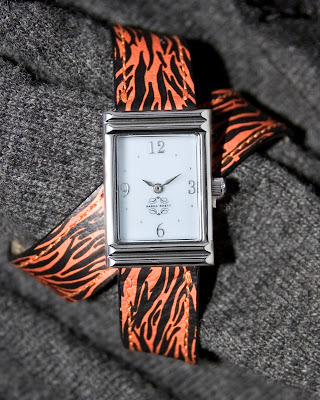 Received an email a few weeks ago from a reader with a tip about a cute, orange tiger-striped watch from a online watch boutique called Sasha Rhett. This watch is pricey at $199, but it's made of leather and stainless steel - ensuring it will last you for many football seasons to come. I like the 'wrap' band style - different from what you typically see. 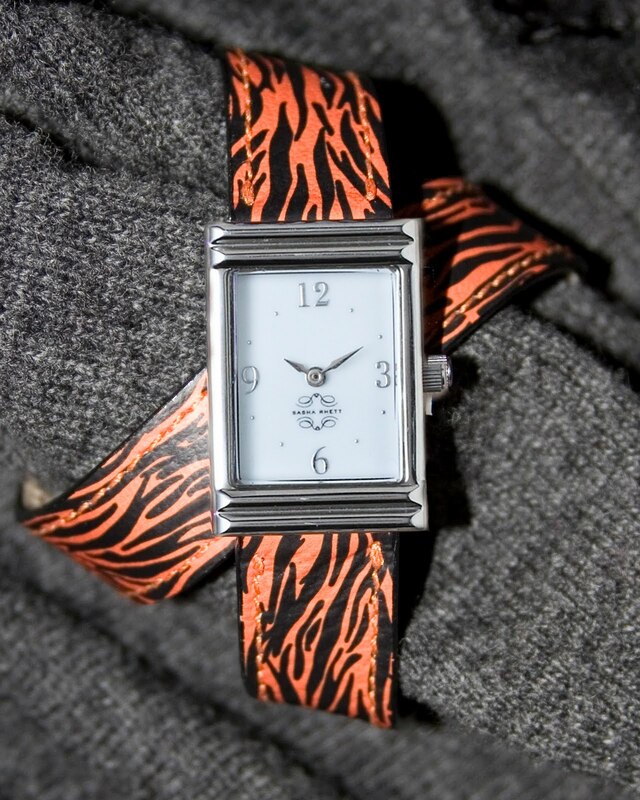 Plus, it looks like you can easily switch out the band to another design if you wanted. I really liked this turquoise print - not exactly Clemson themed, but adorable nonetheless. Do you own a gameday watch?